Kirat Society of Iowa (KSI) is founded in 2014 by the Bhutanese Kirat families residing in Des Moines area and its periphery in Iowa. This organization is established in order to promote, protect, and preserve the rich cultural heritage of the Bhutanese Kirat ethnicity. 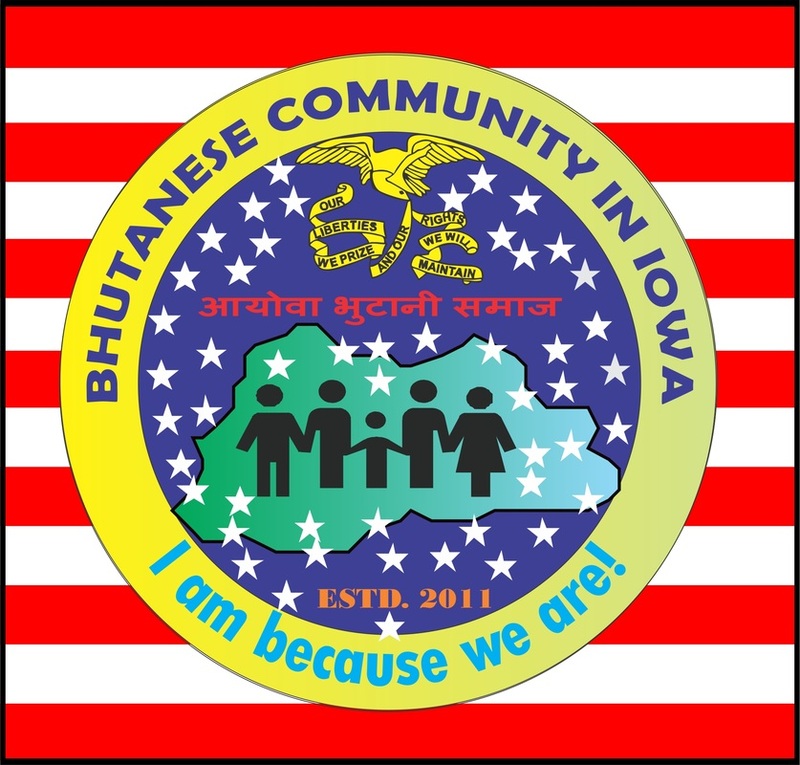 KSI is an associate organization of the Bhutanese Community in Iowa (BCI), which is an umbrella organization for all the Bhutanese ethnic groups residing in the state of Iowa. Altogether, as per the current record, there are about 50 households belonging to the Kirat origin in Des Moines. The Mission of this organization is to ultimately achieve universal peace and human unity, as well as wellbeing of all living things and this organization envisions a world of brotherhood and equality. To preserve and promote Kirat script, language, culture, religion, traditional, social norms, and values. To communicate and advocate for necessary support and assistance to the kirat family. To Promote and extend mutual help and cooperation in the society. To facilitate and enable Kirat society members have an easy access to different services, jobs and other opportunities. To facilitate and enable the Kirat society members integrate themselves into the American mainstream society. To encourage and acknowledge civic engagement among the Kirat society members. Our programs include sending out representative to raise social awareness and support about the cause on a local and global level, and to hold fundraising events in order to provide immediate relief and assistance to the less fortunate regardless of race, ethnicity, or religion. To solicit, receive and manage funds, gifts, charities, and donations in support of KSI’s purpose. To cooperate and collaborate with other organizations in the American mainstream society.